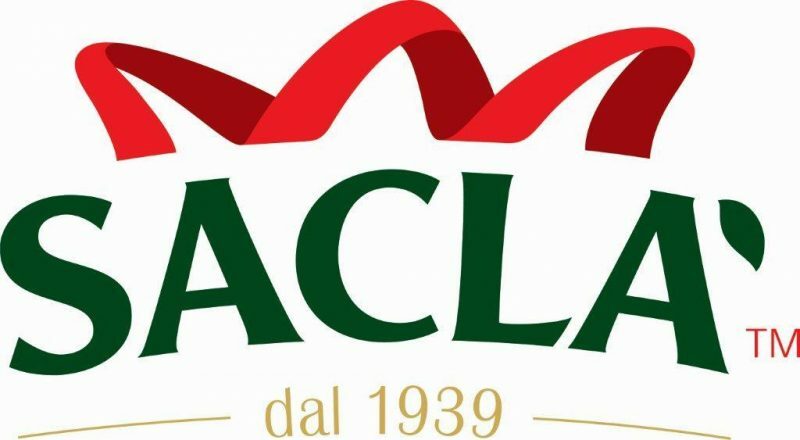 Sacla is an Italian pesto and pasta sauce brand. 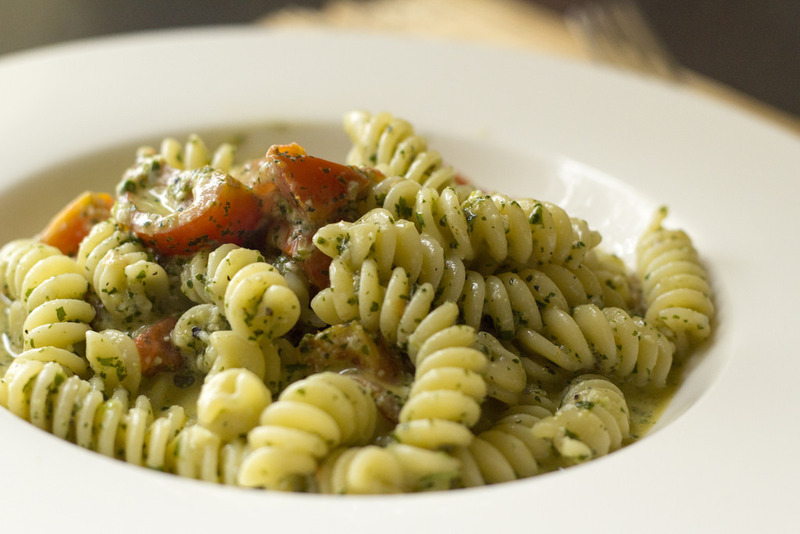 The company sells a dozen types of pesto alone and its products are stocked in all of the UK’s major retailers. 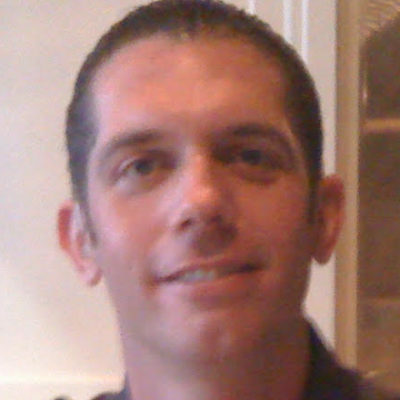 British American Group worked with Sacla to create a sampling and offer distribution campaign. 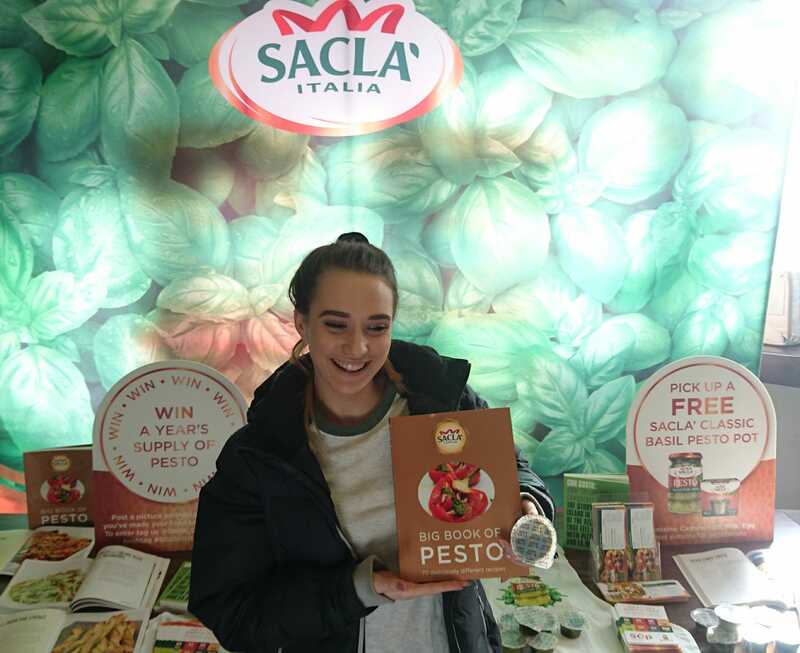 Sacla provided leaflets which entitled students to 50p off Sacla pesto bought in the Co-Op, which had stores located closely to the university campuses we worked across. These were University of Cardiff, University of Bath, University of Bristol and University of Exeter, which were all targeted for a day each. 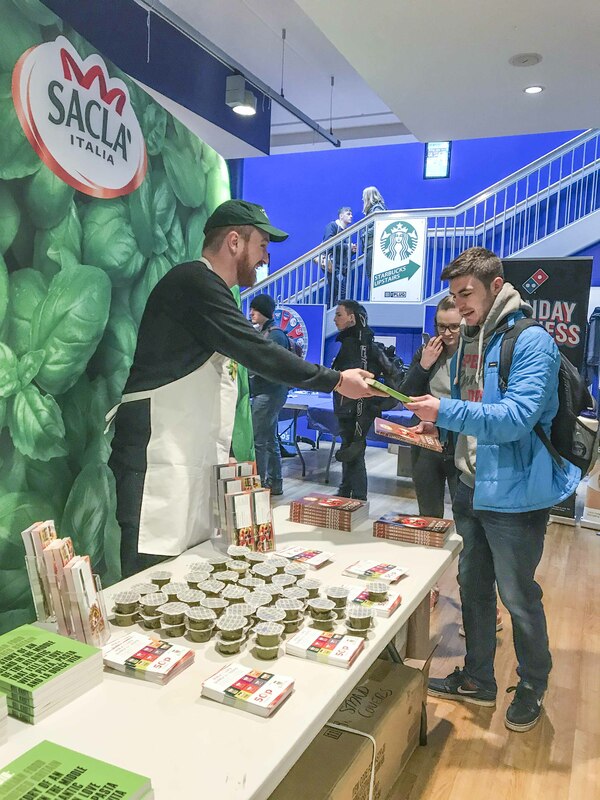 Promotional staff selected by British American Group were briefed on the Sacla product range, and encouraged to start conversations with students about how Sacla’s pesto and sauces could be a meal essential at university. 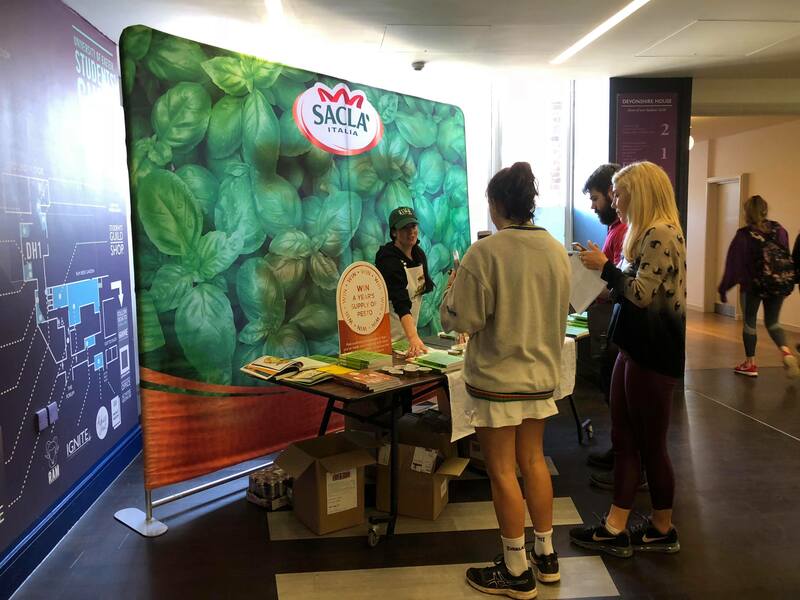 They were dressed in a white chef-style apron in order to encourage students to think about using Sacla in their home cooking. 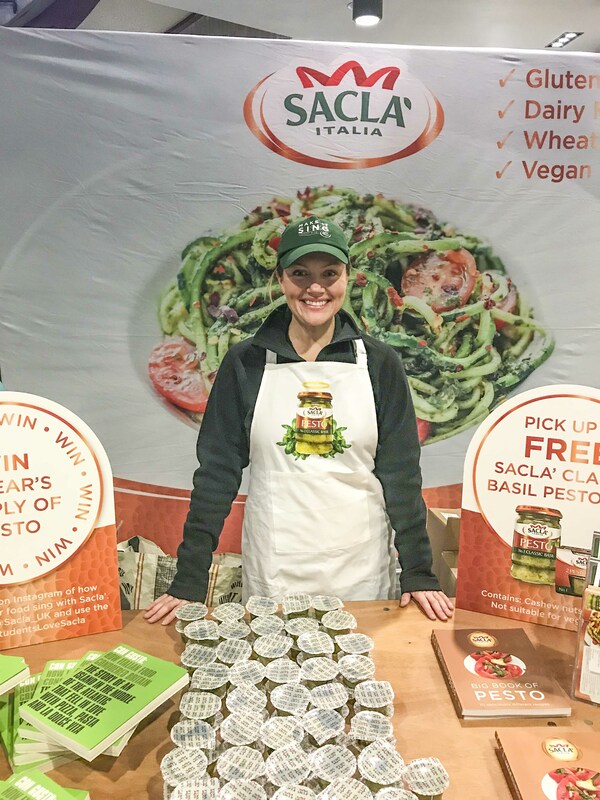 The promotional staff were also supplied with an information pack from British American Group, detailing the flavours, ingredients, price and a list of retailers where Sacla products can be purchased. 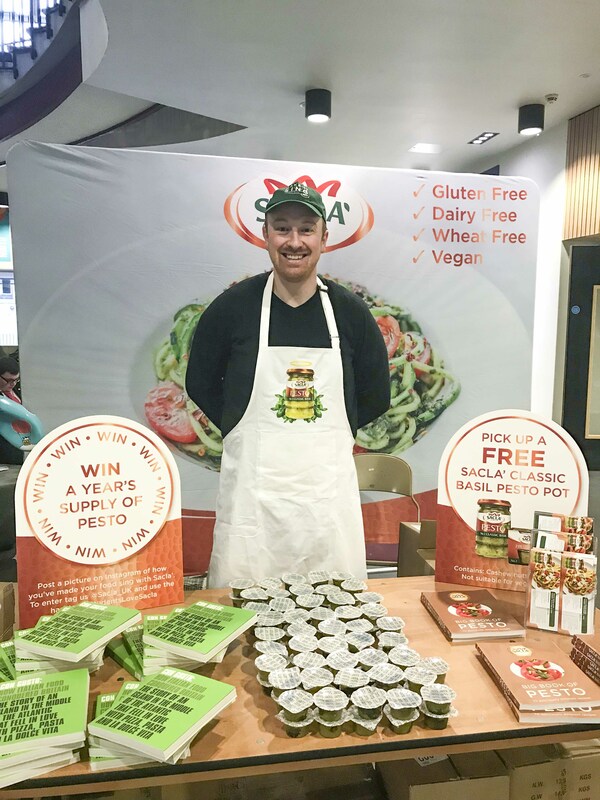 The campaign coincided with an Instagram competition run by Sacla in which students could win a year’s supply of pesto, which the staff also drew attention to. Out of all our international contacts, BA definitely sets the standard for great communication skills, friendliness, personal touch (which is quite hard to keep in the corporate world) and young spirit. Keep up the good work! 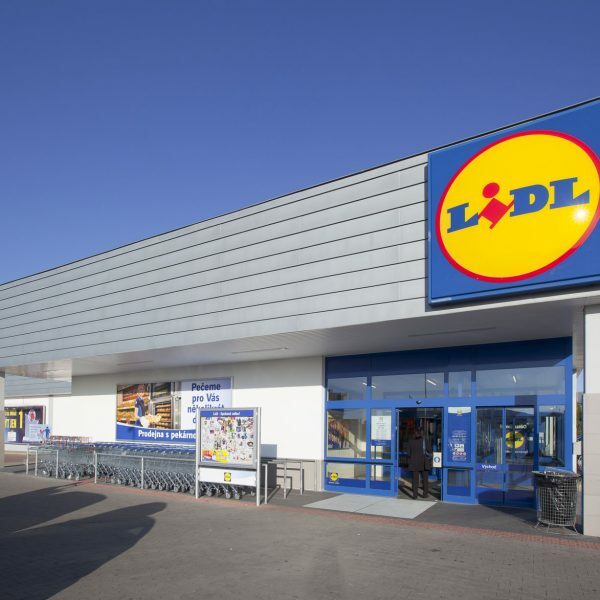 Happy to have you as partners. The British American Group have helped us get the latest Adobe campaigns in front of the student market on numerous occasions through solus email campaigns.They are quick and easy to work with and offer flexible targeting options and strong rates in the industry. We look forward to our future endeavours with the team. The Gap Year Travel Guide is the perfect way of communication with the 18-25 market in the UK. Our advert within the Guide has drastically increased tourism to Mexico. We worked with BA Media on some targeted advertising via their UK Graduate guide for our Backpacker Insurance policy and then later via their UK Student Guide to promote our Travel Insurance and the perils of not having adequate Travel Insurance. 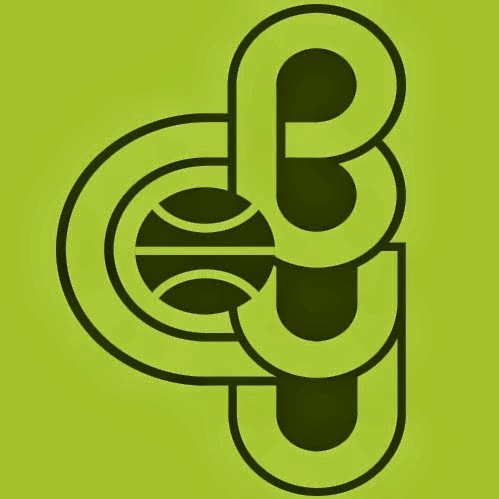 We found BA Media a pleasure to work with; they kept us up to date with deadlines and were extremely efficient. 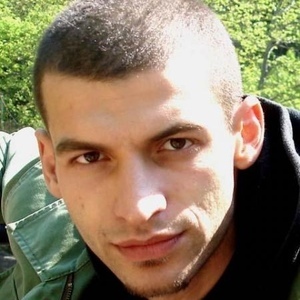 I would recommend anyone who deals with people in their markets to use them for their advertising.